“And suddenly there was with the angel a multitude of the heavenly host praising God and saying, ‘Glory to God in the highest, and on earth peace among men with whom he is pleased’” (Lk. 2:12-14). According to the evangelist, the angel “said” this. But Christianity has always understood that the speech of angels is actually a song, in which all the glory of the great joy they proclaim becomes tangibly present. And so, from that moment, the angels’ song of praise has never gone silent. It continues down the centuries in constantly new forms, and it resounds ever anew at the celebration of Jesus’ birth. For believers, the Christmas season doesn’t end this week. It begins. So much of modern life at this time of year – its noise, its urgency, its relentless emphasis on shopping and the fatigue that always follows – can seem beyond the control of individuals. These things can easily distract us from the real reason most Americans, even today, celebrate “the holidays,” the birth of Jesus Christ. That humble birth is not a legend or seasonal fairy tale. It’s a matter of historical record with real consequences for the course of human affairs. Jesus was born of Mary in Bethlehem. He grew to manhood in Nazareth, learned the trade of carpentry, preached, was crucified, died for our sins and rose again from the dead. The civilization we take for granted has been shaped in foundational ways by Christian faith and its ennobling of human reason and culture. Real joy – the kind that sustains hope in the face of life’s failures and sufferings, instead of evaporating like dew in the morning – has nothing to do with buying more things or winter solstices or fantastic myths. Real joy needs a grounding in fact. St. Leo the Great once described Christmas as “the birthday of life,” and his words remind us that the manger in Bethlehem contained much more than generic good will. It cradled something far more intense and particular: the Word of God incarnate, the flesh and blood of God’s son. Christmas is “heart-warming” because it radiates the fire of God’s love. The real story of Christmas is revolutionary and true, and it ends not in a January white sale, but in an empty cross and tomb – the glory of our redemption. This year, in the days of the Christmas season, let’s turn off the noise and turn our hearts instead to the narratives of Christ’s birth in the Gospels of Luke and Matthew. The Prince of Peace is with us. In his life, God invites us to eternal life. This is the source of our happiness. This is our reason to celebrate. May God grant all of you and your families a wonderful Christmas season of joy and hope, and a new year of happiness. Please pray for me as I pray, every day, for you. 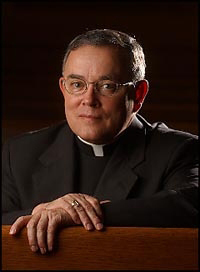 Thank you, Archbishop Chaput for the inspiration you give by the life you lead. May God continue to guide and direct you in leading this diocese. Hope you are well recovered from your knee surgery. Happy Holy Christmas and a Blessed New Year to you and all in your archdiocese. Strive always to be the best Christians you can be. Archbishop Chaput I had the great pleasure of meeting you in Rome. I was with the grup what a Holy and down to earth man you are. You are truly a blessing to us all here in Phila. I pray that the Holy Spirit always stays by your side and you have good health all the rest of your life. Archbishop, a wonderful column, and so very true! I always pass your writings to my Denver friends on Facebook. Have a very Merry Christmas filled with Peace and a New Year brimming with many good things, especially good health!